Offering respite to BJP leader Subramanian Swamy, a Supreme Court of India bench comprising of Justice Ranjan Gogoi and Justice M.Y. Eqbal has stayed the execution of a non-bailable warrant issued against him by an Assam Court for allegedly delivering a hate speech at a University. The execution has been stayed for a period of six weeks. The bench also issued notice to the Centre. Representing Mr. Subramanian Swamy, Senior Advocate T.R. Andhyarujina contended before the Court that Swamy has been “subjected to incredible harassment for giving lecture in a University”. The Bench then asked Swamy to approach the High Court or a competent Court with his individual case of issuance of a warrant for the alleged delivery of hate speech. 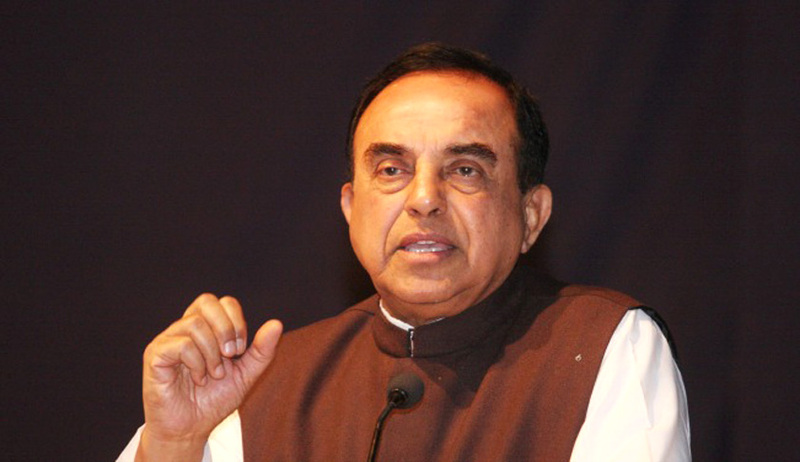 Swamy had moved the Supreme Court against an order of a Trial Court in Karimganj in Assam, issuing a NBW against him for failing to appear before it in a case of alleged hate speech. The trial Court had issued summons to Swamy on March 19, for a speech that he had delivered on March 15 at Kaziranga University. The Karimganj court had ordered that the arrest warrant be complied with on or before June 30. The BJP leader had also sought a stay on the order of Additional Judicial Magistrate, Karimganj, summoning him as an accused for the speech. After the verdict, Swamy took to Twitter to share his thoughts. "SC today stayed the arrest warrant issued by Karimganj Court. I will now move court to seek the quashing of the Complaint itself soon," he posted. Earlier last month, a Supreme Court bench comprising Justice Amitava Roy and Justice R K Agrawal had recused itself from hearing the plea. The Bench had also refused to pass any interim order. However, it allowed Swamy to mention it before Chief Justice H.L. Dattu after Mr. Jethmalani sought permission. Read the LiveLaw story here.